Momma Snookums has requested that I knit her a pair of socks. The requirements: The heels and toes must be black, and they must be knee socks. I have only made one pair of socks in my life. It's not that I don't like socks, it's just that I'm more attracted to sweaters and such. Since I adore Momma Snookums, I have dusted off my double pointed needles and started knitting her a pair. Aren't they cute? 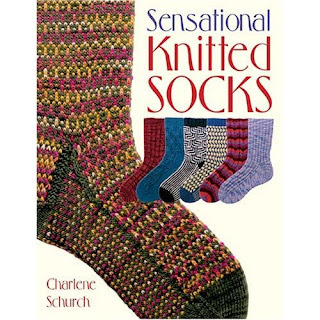 This book is filled with great technical information on making socks. 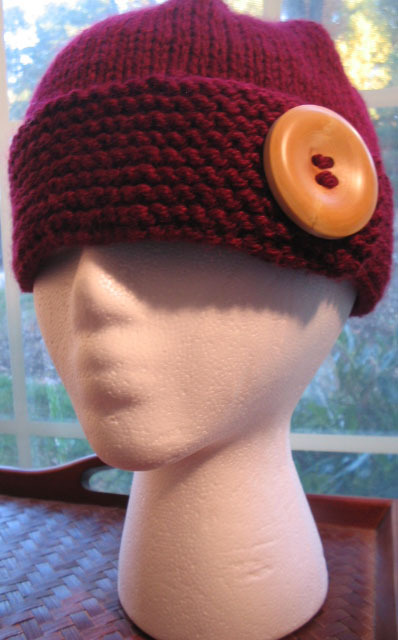 You should have this in your library if you're a sock knitter. I am working these socks from the toe up, with short-row toes and heels. 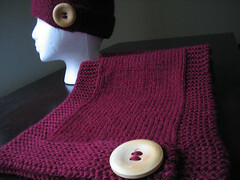 I chose to make a ribbed pattern because I want them to be very stretchy so that they'll fit over the calf. I love the way they're turning out, and I don't want to give them away. But alas, I must. Hell, I can't fit them anyway. 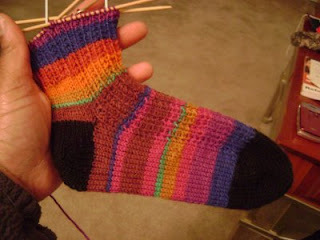 I'm using Regia Sock yarn from the Kaffe Fassett Design Line.